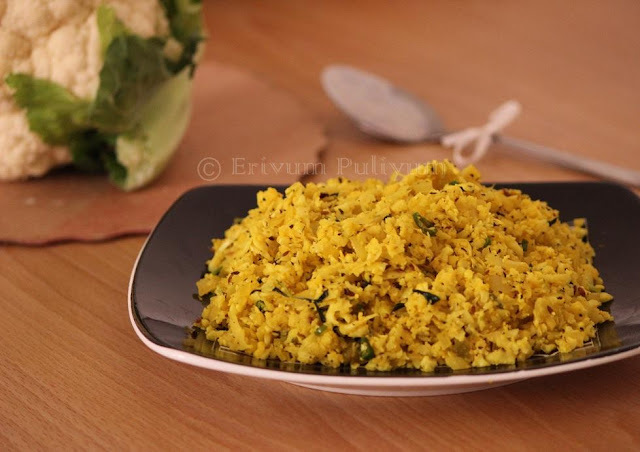 for some reasons i can not make stuff paraths , we all so love it but i add veges in flour and then make it. yours looks so good and delicious. well hope one day i will succeed. Healthy paratha, love the design on raitha. The parathas are so evenly and perfectly shaped, yumm..
beautiful presentation julie.. nice recipe..
Love the way your parathas have turned out so perfectly round and the stuffing has not ripped them through. my fav gobhi paratha, looks perfect and can guess how yummy it is..
Looks yummy Julie!! 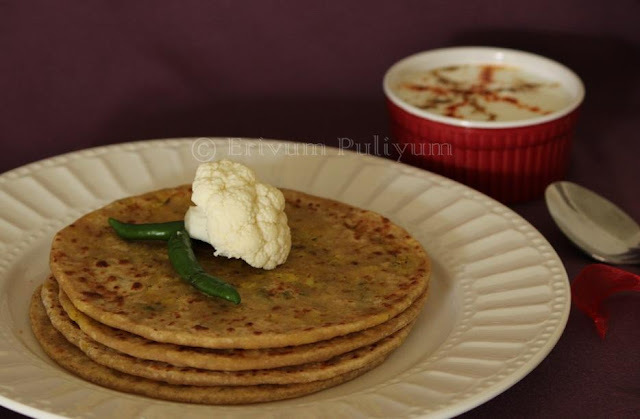 Gobhi parathas are such a lovely treat, arn't they? Just wow, how prefectly u rolled ur parathas Julie, incredible. I would love to try making this bread; looks good! Stuffed paratha came out very nice for you dear.Looks delicious. Perfectly made! Paratha looks delicious. It is nice of you to take picture of the stuffing separately. As noted, the mint and lemon makes all the difference. Looks perfect. Yep, variety is the spice of life. My favorite paratha.....loved the filling. The parathas look perfect Julie. Love them! healthy, delicious and so filling paratha!!! 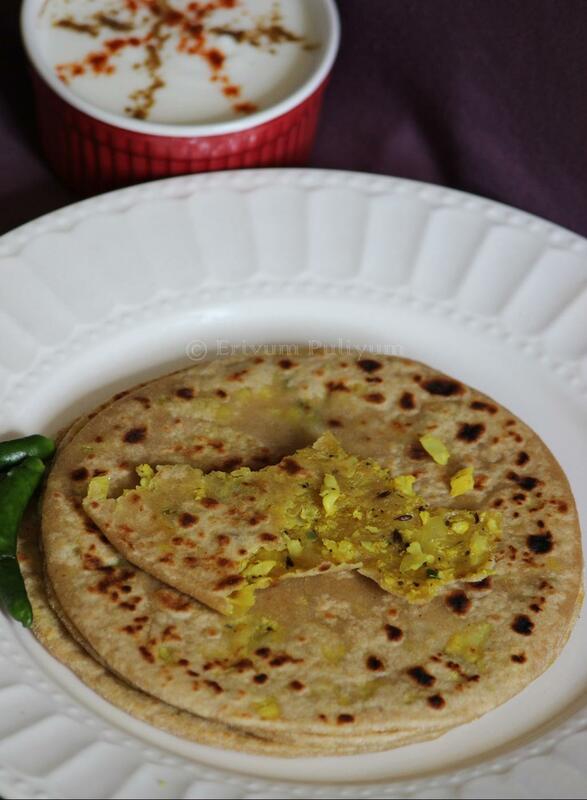 Love Gobi paratha, yours look perfect.